Image taken from the Sunsilk India homepage. Sunsilk was the shampoo that most Indian kids growing up in the 80s -90s thought was the absolute secret of soft hair. Most of us were allowed to use it once in a way as a treat (at other times we either used the shikekai soap , or a shikekai powder called silkesha) and then we could not get over how lovely our hair smelt. I remember an aunt with particularly glossy hair used sunsilk black, which tends to be a fave for me too. There is something about that packaging that gets me to buy it. The pink is attractive looking and smells nice, but does nothing for me. The hidden find is the sunsilk yellow(it is called dream soft and smooth). It is said to have eggs in it. But I will get to that part a little later. First let me explain why I share a love hate relationship with this product, this is one of the toughest to use shampoos, a little extra, and my hair becomes like straw and feels brittle till I condition it , and if I leave it too long then it is near impossible to wash off the soapy feeling from my hair. Why do I love it then, I have curly hair, and somehow though the website or product doesn’t claim so , but this shampoo when used correctly makes my curls bouncier and washes off all the oil that as a typical Indian girl I love to put in my hair. Easily available, your grocer stocks them too. Good basic clarifying shampoo, without the fancy labels and higher prices – I mean seriously a clarifying shampoo is often the harshest shampoo since it has to get rid of all the styling gunk on our hair, but this one does the job , and does not make you pay big bucks like other clarifying shampoos do. Does a brilliant job of taking off the oil that I apply on my hair in the night. Has a strong smell that lingers, may not be everyones cup of tea. Too drying if you haven’t oiled your hair. Tricky to apply, too much is tough to wash off along with being drying, too little, and its like you haven’t shampooed at all. I genuinely don’t like the tall claims and fancy co creation concepts sunsilk is talking about, it is the same sunsilk we all got, same fragrance, same texture, same tendency to dry a bit, then why the fancy packaging. 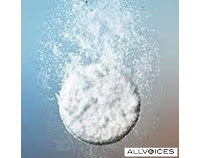 It has to be diluted and prelathered to be used correctly. Overall verdict- it is good must buy shampoo if you oil your hair and want a cheap shampoo to take it off. You can follow up with professional shampoo or high end conditioner. Also I read somewhere that the shampoo should be cheap, the conditioner expensive. I would suggest that if you don’t mind the strongish smell, please go ahead and buy this shampoo. Quirky beauty tip – I mix this shampoo with some water and half teaspoon oil for use on days when i have super dirty hair, and no time to oil it before. Great review!! haven't tried any sunsilk product as yet. I am using the pink one and I'm loving it. I usually stay away from shampoos which make the hair too dry as much as the ones which moisturizes too much as well. I find the Pink one is doing an amazing job for me. Using that one for the last 6 or 8 months! @nivedita- i am waiting for my big yellow bottle to get over. i even use it for my at home pedicures, but it refuses to get over. then i am going to try the black one in a smaller bottle. i agree, shampoos that claim to nourish , just do nothing,no cleaning no nourishing. those that claim to clean up are i think largely for hairstylists who do a professional shampoo job and use tonnes of products and heat et al. and wat to take the products off. i got the yellow one coz it said it cleaned the driest of hair.. and look wat i got.. shall try the pink. 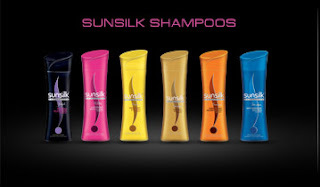 what i love about sunsilk is the sachets are priced so reasonably, and are so easily available. and one sachet allows me a minimum of two washes. what is not to love about sunsilk. somehow I refuse to believe shampoos do anything except wash your hair. Period. Nourish, strengthen, repair all seems bulls**t to me. I mean something that stays on your hair less than a min cannot do too much, right? hi rashika, i know what you mean, i went through that once my baby turned 6 months, a good deal of it is normal, since you dont lose hair during pregnancy, due to hormones and post delivery as your hormones go on another weird tour, you shed like crazy. i did too. i went to a dermatologist as the hair fall would not stop after my son turned 1. I would suggest consulting one too, i was advised biotin, calcium and fish oil supplements, which were very helpful. the other thing that helped me was lots of oil massage and shikakai water hair wash. you can check out detailed posts on my hair care here. hope they help.